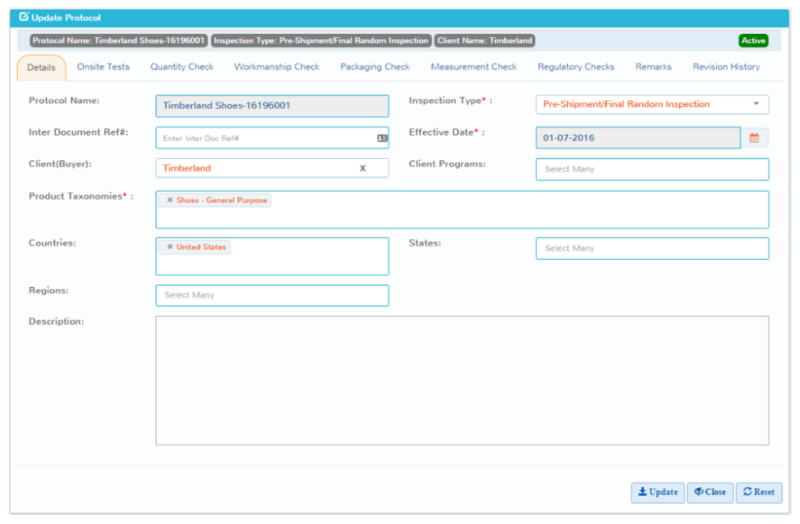 An order to invoice solution for Inspections and Audits Management. 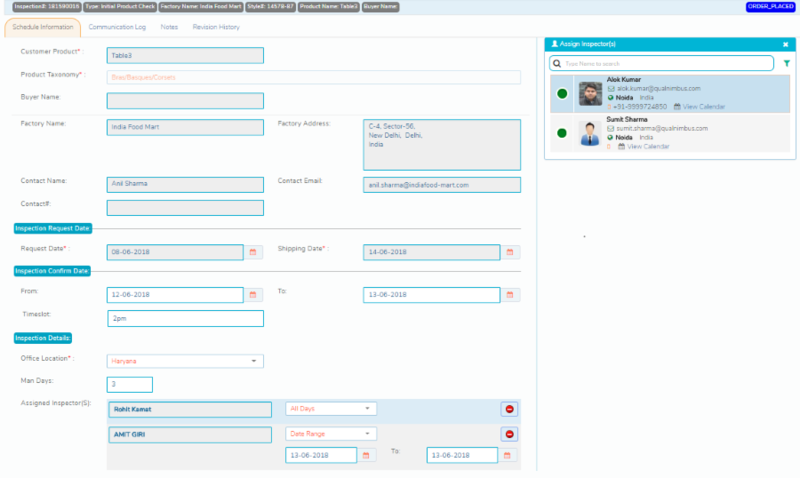 Fully configurable with detailed master data management including workforce, company, program and contact management. On-the-fly master data capture supported! 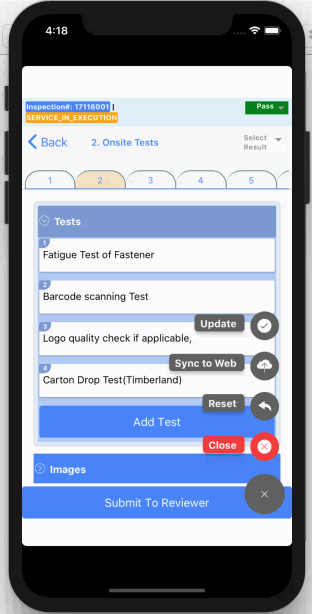 Define your own checklists (for any product and any type of inspection/audit), tie to product taxonomy with configurable checklist items, tests and defects. 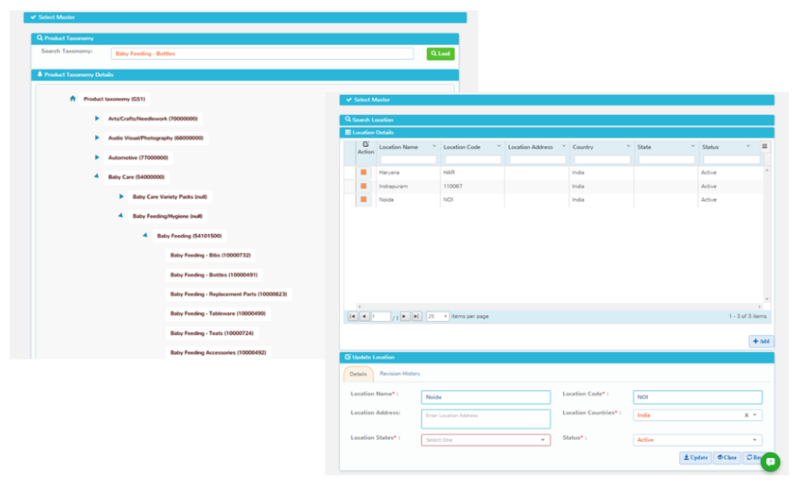 Rapidly capture orders with our streamlined interface and the ability to clone prior orders. 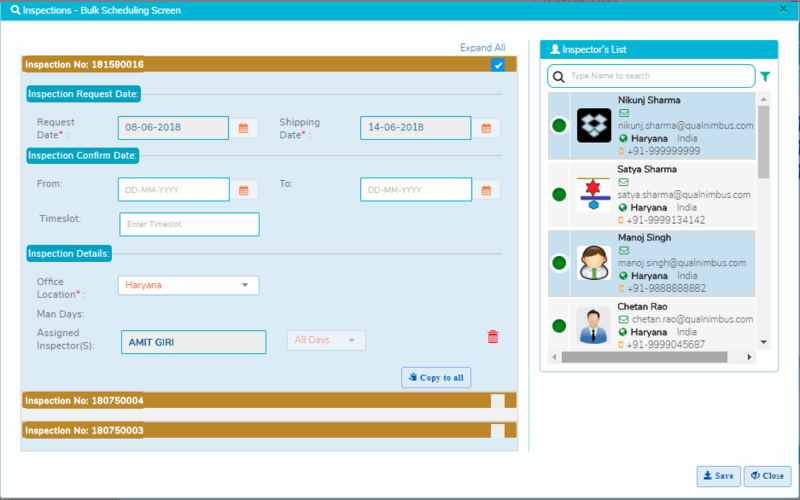 Inspekt Bridge API allows for transfer of orders from existing systems into Inspekt. 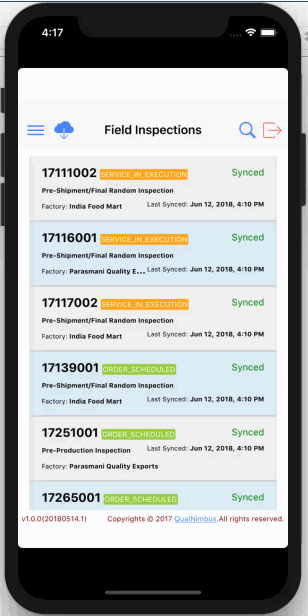 Visually schedule orders with an integrated calendar view and integrated inspector availability. Order execution is fully integrated with in-field inspection and audit data capture capability. Offline mobile functionality included! Save time and money with our automated report generation capability. Long & abbreviated formats, in Word and PDF. Rapidly capture detailed invoice information and generate an invoice document in Word/PDF format with one click. Now with consolidated invoicing. 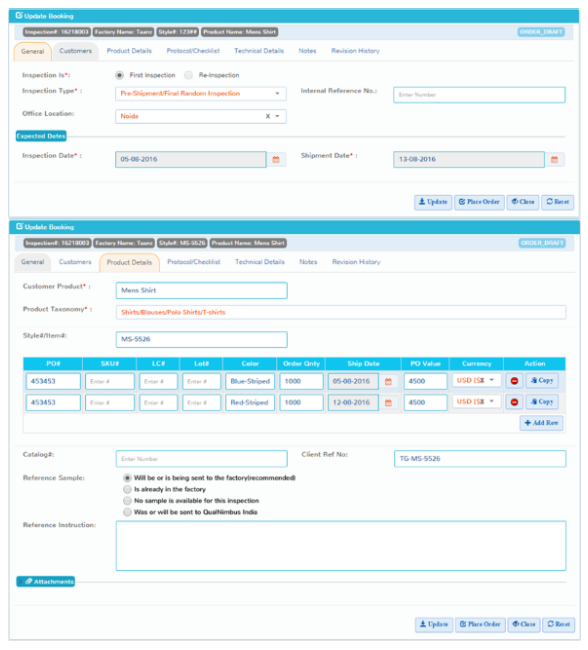 Provide access to your customers to view & place orders, download reports and invoices. Unlimited standard Client Portals included! Comprehensive operational & Business Intelligence reports included to query and analyze information. Our pricing plan is tied to your success and driven by the belief that our growth is tied to yours. 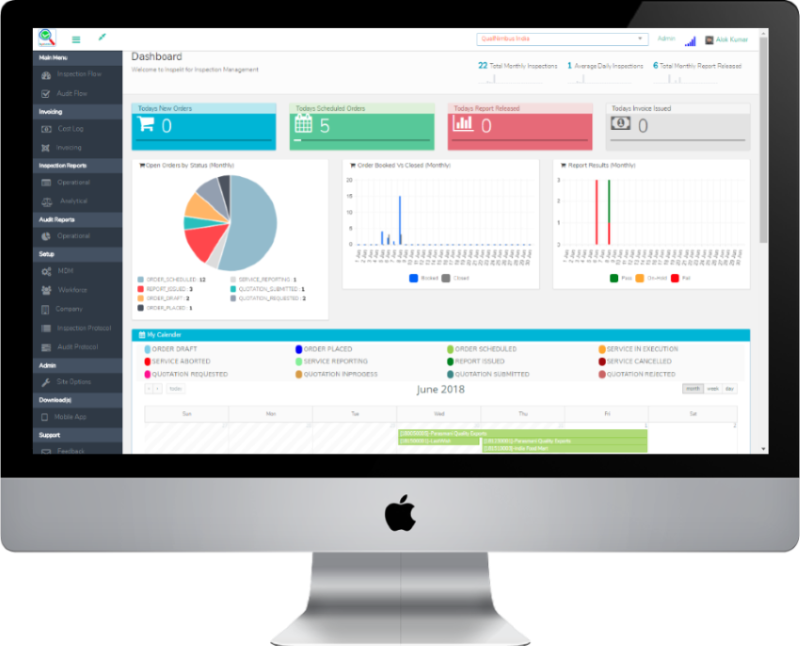 All inclusive, continually evolving, secure, scalable, unlimited use, fully supported enterprise, Inspections and Audits Management solution with unlimited Standard Client Portal instances included. Also included are Offline Mobile Field Execution Capability and Unlimited use of Inspekt Bridge API. Can I try the system before I buy? Yes! You can evaluate the system FREE for 14 days after which you will need to provide a credit card on file that we will charge based on the pricing plan and transactional usage. We take the security of our systems and your information very seriously. We host our systems with Amazon Web Services which is an extremely secure platform. In addition, Inspekt is secured via authentication at every level (web / app / database) and only users with valid credentials can access the system. All your transactions on our web site will be encrypted (HTTPS connection) for an additional layer of security. You can use our systems with complete peace of mind. Will my data be visible to other Inspekt customers? No. We maintain each customer's data in a separate database schema instance. Only users of your company will be able to see the data in your schema (with appropriate authentication and based on roles). Therefore there is absolutely no intermingling of your data with anyone else's. Can I request new features or report issues? Absolutely - we would love to hear from you! Our solutions evolve based on the feedback from our customers. You can always contact us via the in application chat or send us an email to our support mailbox from within the system. We review requests on a regular basis, prioritize them and build them into the product. We typically release new features, enhancements and defect fixes on a monthly schedule. Does your system provide offline/disconnected functionality? Yes! 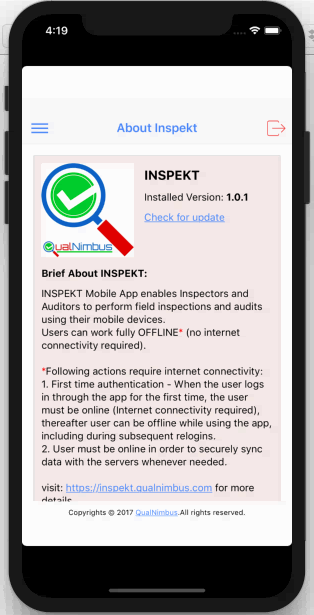 We have launched Inspekt Mobile (Beta) which is an offline application that runs on Android and Windows platforms (Phones, Tablets, Laptops) allowing inspectors and auditors to execute all in-field operations even when they are not connected to the internet. Data can synchronize with Inspekt servers whenever internet connection is available. Can I provide clients visibility to their orders? Absolutely! We have launched Client Portals on Inspekt. You can grant access to any customer (buyers, suppliers, factories, etc.) and contacts to the Portal. 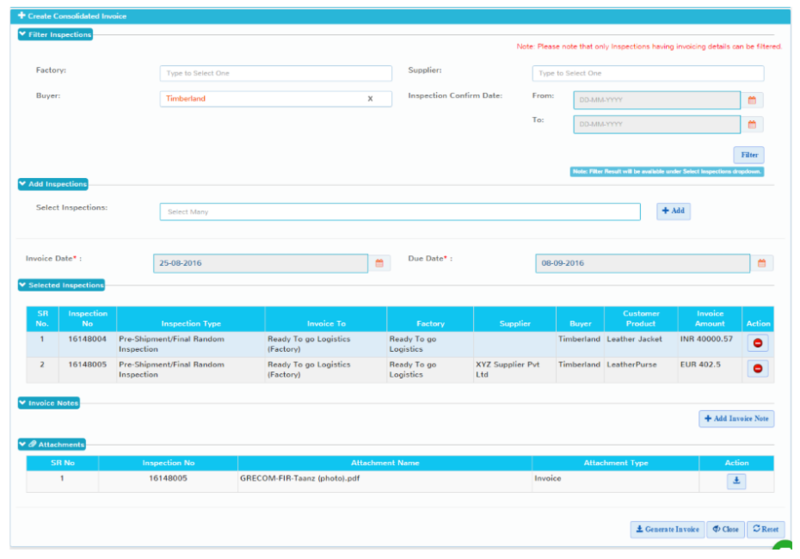 Customers can come into the Portal and view their order status and results as well as download reports and invoices. 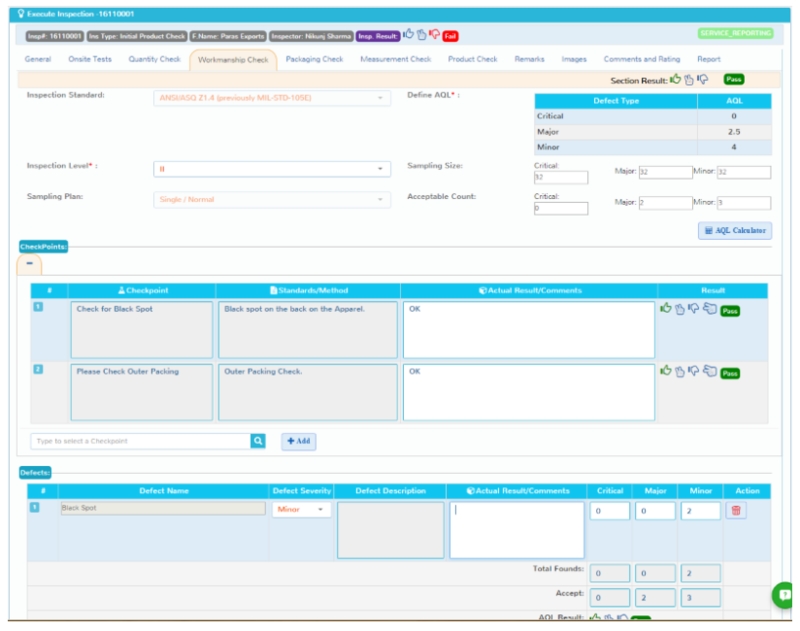 We have also introduced functionality for customers to directly place orders via the portal as well. An unlimited number of standard Client Portals are included in your subscription price. Premium functionality (including OrderFlow and Business Intelligence reporting - coming soon) will be optional and charged additionally. Does your system support multiple languages? Yes! We have recently launched an update that allows users to change their UI into different languages. Currently Traditional Chinese, Simplified Chinese, French, German and Spanish are supported. We appreciate feedback regarding the accuracy of our translations and are always looking to improve it. They system can also capture information in multiple languages (although there is no on-the-fly translation of entered data). For the sake of consistency we recommend using a single language for information capture. How can I stay informed about the product and the roadmap? For every release, we will have release notes available inside the system which will outline what new features have been implemented and which bugs have been fixed. In addition, we suggest that you sign up for our newsletter and subscribe to our blog. We send out periodic updates regarding the product using both those avenues as well. You can also follow us on Facebook, Twitter and LinkedIn. Started by veterans of the Testing Inspections and Certifications (TIC) industry, QualNimbus is an information and technology service provider that is focused on building value chain optimization and information analytics solutions in the Quality Management space. 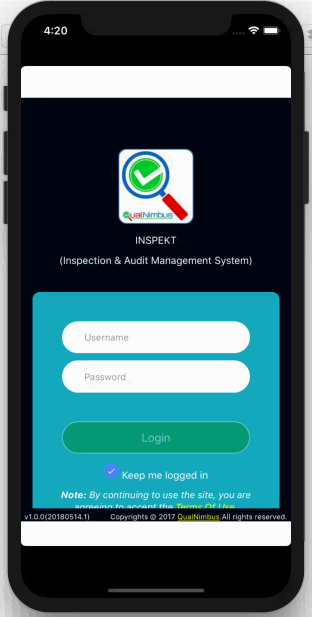 We currently have 2 products available as Cloud based solutions: Inspekt (Inspections and Audits Management Solution) and Test Reference Information Management Solution (TRIMS). Learn more about us at www.qualnimbus.com. We would love to hear from you! Powerful, highly available, scalable and secure solutions that are cloud based. All you need is a browser and an internet connection. Configurable to your needs, the system allows you to manage your information in the way that makes most sense for your business. As a SaaS solution, QualNimbus manages everything - from the hardware and operating platform to the application and data. Being entirely online there is no need to print anything thereby saving costs and reducing your carbon footprint. We release updates to the solution every month keeping the system aligned to the needs of the industry and our customers. Our system is highly relational and automated, which allows you to be efficient and save costs.